A work of art that also puts meat on the table. 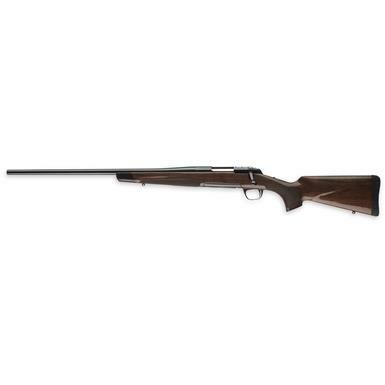 If you're looking for an accurate, high-powered hunting rifle, look no further than the Browning X-Bolt Medallion. The bolt-action rifle landscape was changed forever with the introduction of the X-Bolt, and Browning never stopped innovating. Every detail, from the gold-plated Feather Trigger to the tack-driving free-float barrel to the detachable Rotary Magazine, combine to make your shot count when you've got a buck in your crosshairs.